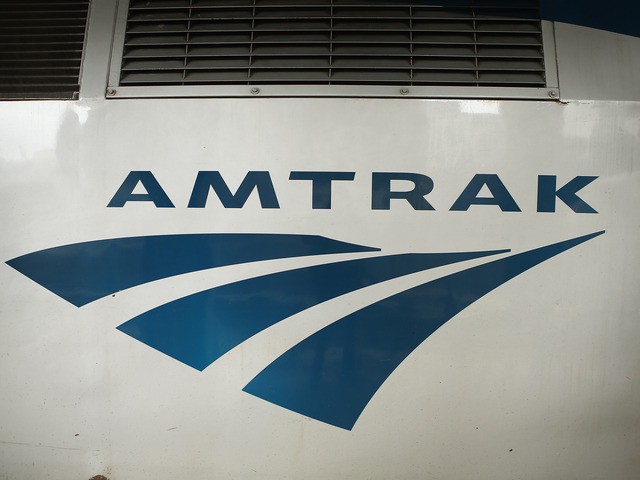 An Amtrak train headed from Vermont to Washington, D.C., derailed in central Vermont on Monday after apparently striking rocks that were on the tracks. No life-threatening injuries were reported. 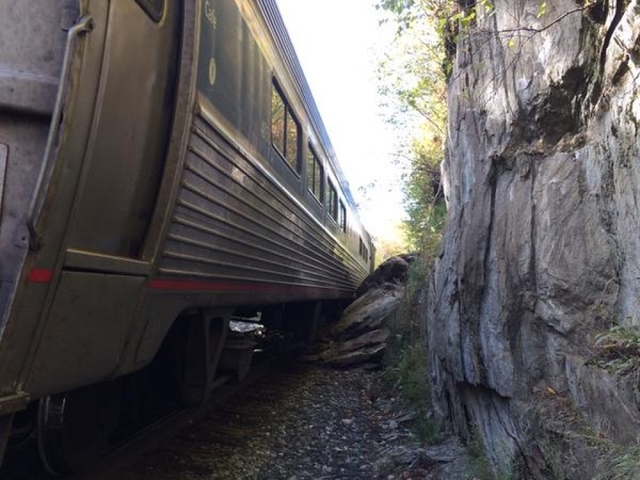 The Vermonter train derailed near Roxbury, about 20 miles southwest of Montpelier. Montpelier Fire Department spokeswoman Dana Huoppi told WPTZ-TV: "There are some people that are shaken up, but it sounds like they are only going to transport four by ambulance at this time." Amtrak said in a statement that the train "reportedly" struck a rock slide on the tracks and that no critical injuries had been reported. Judy Tartaglia, CEO of Central Vermont Medical Center, said six people were transported to the emergency room for minor injuries including neck, back and shoulder pain, lightheadedness and a wrist injury. She said she doesn't expect any more patients. Matthew Lehner, a spokesman for the Federal Railroad Administration, said it was aware of the derailment and had sent investigators to the scene. The governor's office said officials would hold a news conference Monday afternoon to update on the derailment.